A year later, the JFA is still giving the musician a food card every month, along with new clothes. 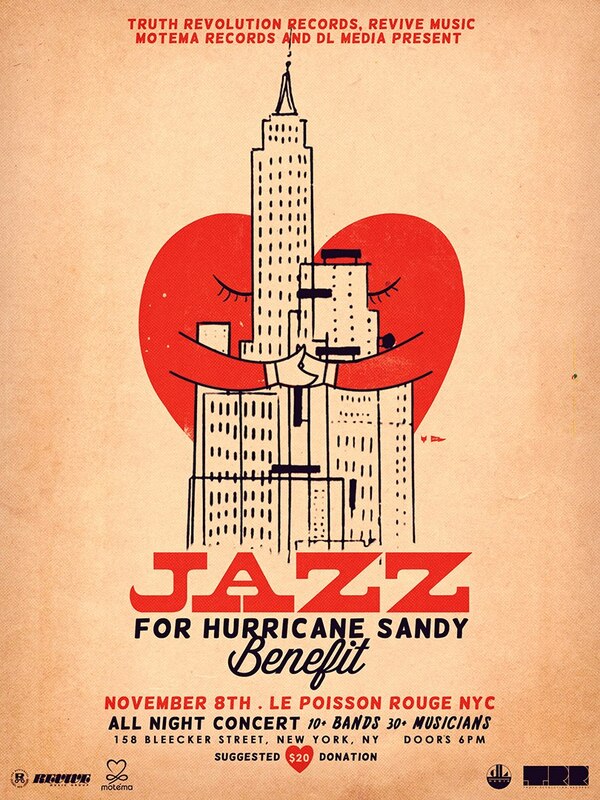 The moment Hurricane Sandy was forecasted about a year ago, the Jazz Foundation was ready to hit the ground running. The organization — created in 1989 by musicians, teachers and philanthropists committed to preserving and promoting jazz — had rebuilt the lives of over 1,000 musicians in New Orleans after Katrina. With endorsements from big-name musicians like Dizzy Gillespie, Quincy Jones and Fats Domino, and millions of dollars in donations over the years, the JFA is easily able to help struggling jazz musicians in emergencies. The day after Sandy hit, employees of the foundation gathered at their offices on West 48th Street and loaded associate director Joseph Petrucelli’s car with bottled water, snacks, juice boxes, flashlights, long underwear, winter hats and 50 roasted half chickens. They printed out a long list of names and addresses from the JFA’s database of local jazz musicians who lived below 42nd Street. For seven days the JFA was on the streets, delivering food and water to musicians on the Lower East Side. But they didn’t stop there. 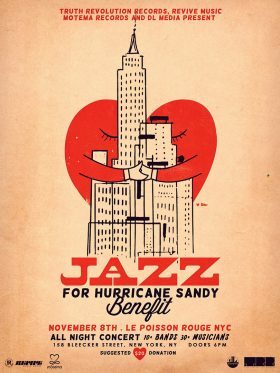 When it became clear that Sandy had wiped out storehouses and practice spaces, the foundation pledged to replace or defray the cost of as much equipment as possible, and also to help pay rent and moving costs for apartments and homes. When the storm hit, Tony Moreno, a highly sought-after jazz drummer and full-time jazz percussion professor at NYU Steinhardt, lost his performance and recording studio of 42 years in the Westbeth building, a community for artists in the West Village. The storm blew out the studio’s ceiling and doors, and destroyed all the electrical wiring, amounting to more than $10,000 in damage. He lost nearly $150,000 worth of equipment, including a brand new Yamaha grand piano, file cabinets of original scores, amps, guitars, P.A. systems, and manuscripts dating back to 17th century. “It basically destroyed 42 years of my life,” he says. FEMA and SBA rejected his claims for assistance because his studio was not a residence. “I contacted the JFA as soon as I realized I wasn’t going to get any help,” Moreno says. “I reached out to people for financial assistance. I had no instruments, nowhere to work and really no support.” The JFA bought him amps and keyboards, and the New York Foundation for the Arts bought him a drum set. Now, a year after Sandy, Moreno rents a rehearsal space on an hourly basis. He shares it with 11 other drummers, and gets two hours to play here and there — if he’s lucky. Moreno simply can’t afford to rent his own rehearsal space, and he doesn’t see having his own studio any time in the near future. 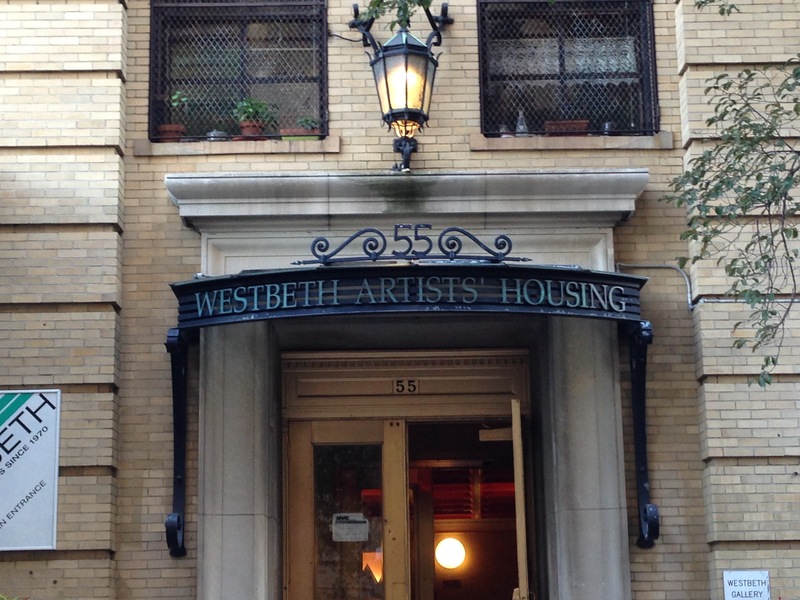 All he can do is keep his fingers crossed that he can play at Westbeth again soon. Bruce Mack, a veteran jazz musician and music teacher at P.S. 3 in the West Village, lost nearly $80,000 worth of equipment to Sandy. The 54-year-old watched helplessly from a hill as his basement apartment in Staten Island, as well as his storage unit and everything inside it, was destroyed: an extensive keyboard collection, amps, mixers, recording devices, hard drives, computers and a collection of over 3,000 CDs and 600 vinyl records. Mack stayed with friends after the storm from November through December, then the JFA paid for him to stay in hotels in lower Manhattan from December through March. In March, the foundation helped Mack pay for a temporary apartment in Brooklyn — the borough where he was born, and a place to which he never expected he’d return. 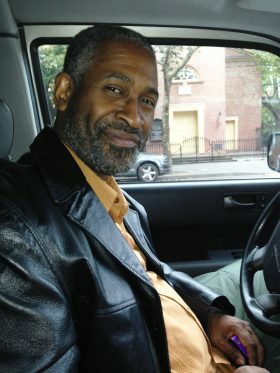 Mack lived there until two weeks ago, and now he lives with his girlfriend and her son in Harlem. But recovery is far from complete, both for musicians like Moreno who still have nowhere to play, and also for those musicians less fortunate than Mack who still have nowhere to live. “The scars from the hurricane have not healed,” Ente says, “and with another winter season approaching, who knows what we have in store.” New York jazz musicians have proven themselves in the past, though — if they can survive in this city, they can survive anything.